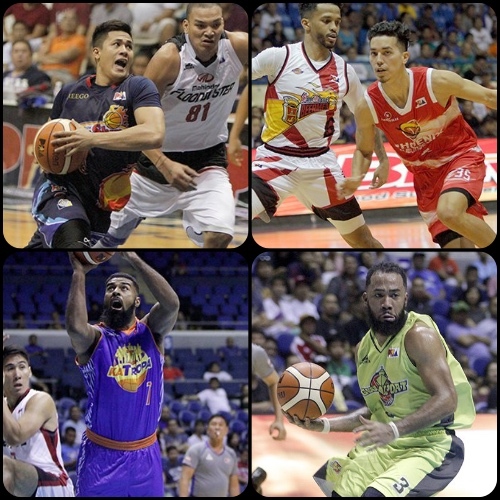 The 2016-2017 PBA Philippine Cup continued to heat up this week. Phoenix had a big upset win over SMB last Wednesday, while Rain or Shine also throttled past Mahindra. Just last night, it was GlobalPort who prevailed over Star even as TNT handed Blackwater its first loss of the season. The Phoenix Fuel Masters got a big game from JC Intal plus some key contributions from Simon Enciso and a few others as they picked up a big win over the San Miguel Beermen, 92-85, in the Oppo PBA Philippine Cup on Wednesday at the Ynares Center. Intal scored 22 points and made some clutch baskets while Enciso dominated in a red-hot stretch in the third quarter to finish with 15 points and nine assists. Other strong performers included rookies Matthew Wright and Gelo Alolino, who scored 14 and 13 points respectively, and Willy Wilson, who only mustered six points but grabbed 18 big rebounds alongside four assists. Reigning MVP June Mar Fajardo finished with 19 points and 24 rebounds to lead the Beermen. Simon Enciso (PHX) - 15pts, 7rebs, 9asts, 5 triples. June Mar Fajardo (SMB) - 19pts, 24rebs. James Yap finally made his much-anticipated debut for the Rain or Shine Elasto Painters who put on an epic shooting display, pouring in a total of 18 three-pointers to drown the hapless Mahindra Floodbuster, 105-83, in the Oppo PBA Philippine Cup Wednesday at Ynares Center in Antipolo. Yap, who missed Rain or Shine’s season opener last week, contributed 10 points and achieved a career milestone by moving to fifth on the all-time three-pointers made list in his first game since being traded by his former long-time squad Star Hotshots in a blockbuster deal during the off-season. Jericho Cruz scored 14 of his 15 points in the first half, spiked by four triples, as well as three rebounds and four assists to lead Rain or Shine’s balanced attack that saw 14 of its 15 players make at least one field goal. Alex Mallari had a double-double of 10 points and 10 boards to lead Mahindra which dropped its second straight game. Philip Paniamogan also had 10 points, while rookie Russell Escoto grabbed eight boards along with his 10 markers. Maverick Ahanmisi (ROS) - 14pts, 4rebs, 4asts, 1stl. Alex Mallari (MAH) - 10pts, 10rebs, 1stl. The GlobalPort Batang Pier leapt out to a huge lead in the first quarter and did enough to protect it the rest of the way as they beat the Star Hotshots, 91-84, in the Oppo PBA Philippine Cup on Friday at the SMART-Araneta Coliseum. Stanley Pringle scored 24 points – 12 of those in a blistering first quarter for the Batang Pier – while Terrence Romeo added 18 points and eight assists, though he did have seven turnovers. KG Canaleta added 12 markers and seven boards while JR Quinahan scored just six points but grabbed 10 rebounds and dished out four assists in a solid performance. Marc Pingris and Aldrech Ramos paired up for 37 points to pace Star. Stanley Pringle (GLO) - 24pts, 3rebs, 2asts, 2stls, 1blk. Marc Pingris (STA) - 19pts, 8rebs, 2asts, 2stls, 1blk. Jayson Castro made a triumphant return for the TNT KaTropa as they slammed the erstwhile unbeaten Blackwater Elite, 99-92, for a second consecutive win in the Oppo PBA Philippine Cup on Friday at the SMART-Araneta Coliseum. Mo Tautuaa and Castro each scored 20 points for TNT, which tied their victims in the standings at 2-1. Tautuaa shot 8-for-12 from the field, including 2-for-3 from beyond the arc while Castro had five rebounds and five assists. Ranidel De Ocampo added 15 points, eight rebounds and four assists in a strong showing. Blackwater’s super rookie Mac Belo, who led them to two straight wins to open the season, finished with 21 points and nine rebounds for the Elite in the loss. Jayson Castro (TNT) - 20pts, 5rebs, 5asts. Mac Belo (BLA) - 21pts, 9rebs, 2asts, 1stl.